Yahoo's board has adjusted its bylaws to make it much easier for Marissa Mayer to get a huge payday if the company gets sold. Bidders for Yahoo have only been interested in buying the company's core internet business, not Yahoo as a whole. Under the old bylaws, it's unclear that would have been enough to represent a "change in control." The new bylaws make clear that selling the internet business would be a control change. The adjustment to the bylaws is significant, because Mayer and other executives will take home significantly more pay if they're fired as a result of a change in control. If Mayer is given the boot without a sale, she would take home about $12.5 million. But if she's fired because Yahoo is bought by another company, she would get a golden parachute exit package worth about $37 million. The new bylaws were announced in a regulatory document filed late Thursday. Previously, a change in control meant selling the bulk of the company. But the vast majority of Yahoo's value is made up of its Asian holdings, which aren't for sale. Yahoo is taking bids for its core Internet operation, which is the bulk of its operating business but a tiny fraction of Yahoo's overall value. Yahoo (YHOO) owns large stakes in Chinese e-commerce Alibaba (BABA) and Yahoo Japan, worth about $34 billion. Yahoo's current market value is $35.3 billion. Since the operating business currently makes up less than 4% of the company's overall value, buying it likely would not have represented a "change in control," as defined by the old bylaws. Now, a buyer would only need to take hold of Yahoo's "operating business" to trigger a control change. To make Mayer's enormous buyout package somewhat more palatable for a new owner, Yahoo also changed the way it would pay her and other executives. Under the old bylaws, Mayer's termination after a sale would have triggered the immediate release of all her stock awards. Now, most of those awards would still immediately vest but new awards would vest over the course of several months. 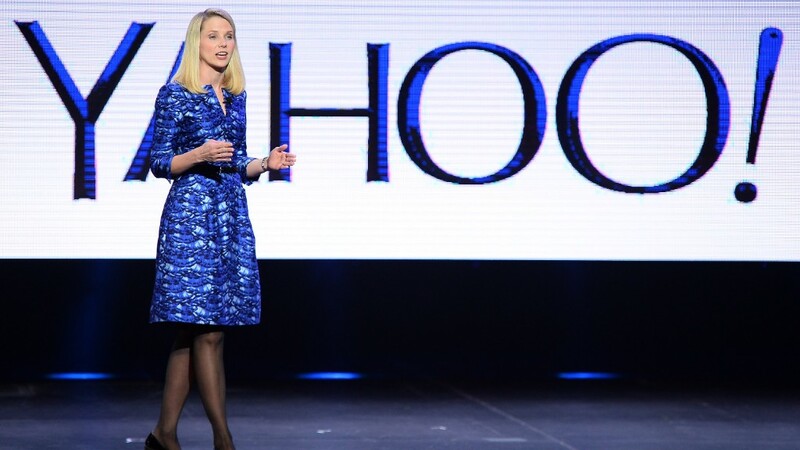 Yahoo has been accepting bids for the company, which are due on Monday.